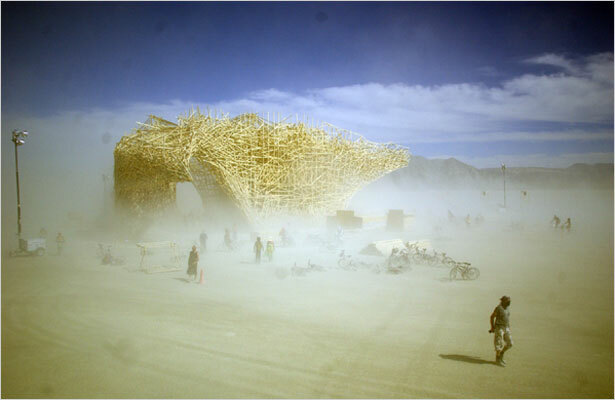 I’ve never been, but the images from Burning Man are often haunting and exhilarating. The NY Times, of all outlets, is running a daily photo show. By Curt | Posted in Art | Comments Off on The Man will Burn! 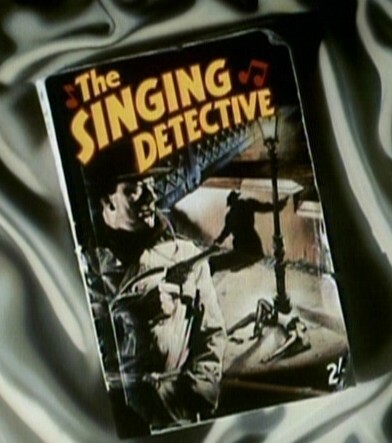 I recently saw the 1986 BBC production of ‘The Singing Detective’ written by Dennis Potter, a six-part, seven hour story. 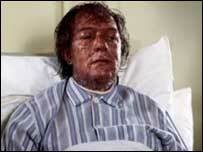 It’s got about four stories swirling about the main character, author Philip Marlow, who is in the hospital with an awful case of psoriasis/arthritis and can barely move (see below). Physically immobilized but with an active imagination fueled by fever and perhaps various drugs, Marlow remembers childhood trauma, mixing that with ideas about a book plot (perhaps one he’s already written) and paranoid delusions generally. Potter mixes in all sorts of little goodies, using pop songs on the 1930s to comment on the story, and expressing his feelings about doctors and hospitals, as well as interesting musings about telling stories. Michael Gambon plays Marlow and does a great job, playing a sometimes nasty fellow with just enough softness to create some sympathy. Recommended! Over the years I saw Sleater-Kinney about 10 times, and while I thought the records varied I liked the fact that they had a live sound unlike any other band. Earlier in the summer they announced that they’d be ending things. Their last show was in Portland on August 12, but I didn’t have a ticket. And here you can find a downloadable webcast of the Aug 3 show in DC. The blunt instrument of military force is particularly ill-suited to fighting a worldwide terrorism network, particularly one that spawns unaffiliated copycats. Nor is military force an effective way of attacking the “root causes” of terrorism, as the war in Iraq tragically illustrates. As a general matter, invading and occupying countries is a recipe for more terrorism, not less. By Curt | Posted in News | Comments Off on What Strategy? Somehow I just don’t think that partying like a dieting rock star cuts it for me. 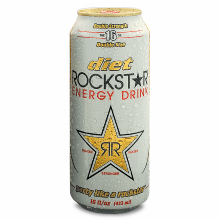 By Curt | Posted in Uncategorized | Comments Off on Diet RockStar? Yojimbo, directed by Akira Kurosawa, is an interesting picture. The landscape: a bleak village in winter, where two rival bands are fighting over the gambling profits. The roaming samurai arrives, and plays both sides against each other, while killing quite a few along the way. The music is jarring and slightly comic, as is the whole tone of the film. A model for A Fistful of Dollars. Here’s the wikipedia entry. Here’s the text of an NYT article on Green Gartside (aka Scritti Politti), and his new CD “White Bread, Black Beer” now out in the US. While at times I find the music almost sickly sweet, at other times I really enjoy this pop music. You decide. Here’s a review from Pitchfork. There’s an interesting history of the early days of Scritti Politti in Simon Reynold’s book Rip it Up and Start Again (see earlier post). How much should gas cost? With today’s news about the BP pipeline shutdown (which takes out 8% of US production), it strikes me that the California energy crisis was a small scale preview of the world oil market to come. When you have what’s essentially a necessity, and supplies are limited, then producers don’t have much reason to keep the spigots fully open. Enron and others apparently found it convenient to take generators down for maintenance, and electricity prices spiked. What is to stop the big oil companies from doing the same thing as world oil production peaks? (Not to say that it’s what BP is doing now.) And the benefits will flow to all the companies. This is a dangerous game to play, of course, as sooner or later state action will occur; people make a lot of noise when the necessities get overly pricey! By Curt | Posted in Economics, Long Now, News | Comments Off on How much should gas cost? Noting the passing of Arthur Lee, leader of the band Love. I got to see Lee a couple times in the last few years, once with the full re-creation of the Forever Changes album with horns and strings, and they were great, exciting shows. NY Times obit here. By Curt | Posted in Music | Comments Off on Arthur Lee, R.I.P. Here’s an interview and some live songs from Sound Opinions (go down to show #24; interview starts about 12 minutes in). Or read about them at Pitchfork. By Curt | Posted in Music | Comments Off on Art Brut pop-rocks!